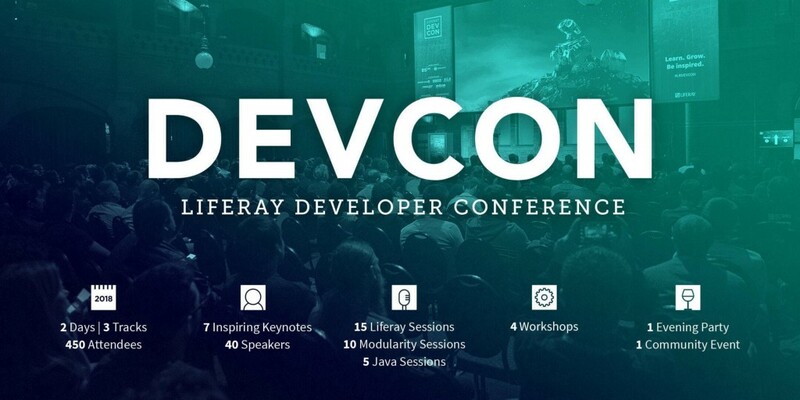 Liferay Developer Conference is the biggest technology conference for Liferay developers and technology consultants. There is no better opportunity to meet other developers with similar problems, Liferay staff willing to help you by answering all your questions or even your favorite Liferay blogger (thanks for a nice chat, David Nebinger :) ). That’s why I, together with my ableneo colleagues, for the 5th time didn’t miss this chance and visited Liferay DevCon 2018 that took place this year in Amsterdam again. Here are the most interesting topics, information, and news we took from this amazing event! 7.1 is not a revolution as 7.0 was, rather an evolution of the 7.0 approaches and features. The modularization of the product vastly progressed and we also have more extension points (for example in Forms that were notably improved in general). Also, we have several nice 7.0 features that had to be installed separately now being an integral part of the product, like GoGo shell UI console or Adaptive Media. 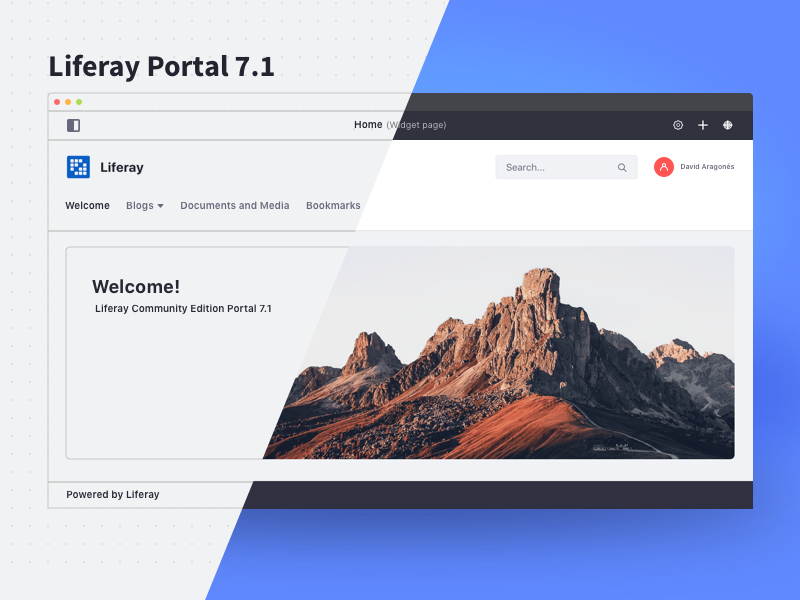 Liferay completely reworked the administration of the pages in a site. Now you can create pages and organize them independently within named menus and even compose the list from menu fragments. But that is not all. 7.1 has to brand new type of page that is called “Content page”. Content pages are composed of “fragments” what are HTML/CSS/JS modules (Codepen-style editor for modules is provided, see the image above). Such modules can be used as “page snippet templates” and are directly placeable (drag and drop) into a page. No portlet holder needed. With this new approach, the content is not disconnected from the page but is its integral part. For many users, such an approach is much more natural. The idea behind is also to make the publication process more intuitive for distinct roles like a marketer, designer, and developer. But don’t worry, old portlet pages are still there. Just are called Widget pages (Widget is the new name for portlets in 7.1). Also, many technical improvements happened under the UI roof. For example, Liferay 7.1 since release GA2 starts amazingly fast. Really, on faster machines, you can be up in about 40 secs! Also, OSGi startup messages got reduced so now the startup log seems much better. The upgrade process was also improved, and now the DB upgrade takes much less time due to optimizations. And much more. Containers, containerized deployments, and related topics were also very often mentioned in presentations, workshops and informal discussions. Liferay uses Docker internally for some time, and now they openly declare that they are focusing now on better support of Liferay running in Docker containers also for the customers. The result is that we now have always fresh official Docker images for Liferay CE and even for DXP. Hopefully, there will be also supported for Docker in Workspace in the near future. We in ableneo are playing around with Liferay on Docker for some time already. But instead within a development part of the delivery lifecycle. Now, with official support, it will be much easier to discuss and propose this integration to our customers for the whole pipeline up to the production deployments. I’d also like to mention Firelay’s workshop here. These Dutch guys presented their Liferay cloud solution based on Kubernetes and hosted in OpenShift. This is probably one of the best nowadays ready-made Liferay-in-da-cloud option on the market. They have advanced (UI) management, CLI, Liferay Blade extensions helping to deploy directly to the cloud from local etc. Liferay Commerce is brand new digital commerce platform build from the ground up to be fully integrated with the Liferay portal. It promises to equip sellers with a fully-integrated suite of digital engagement tools. 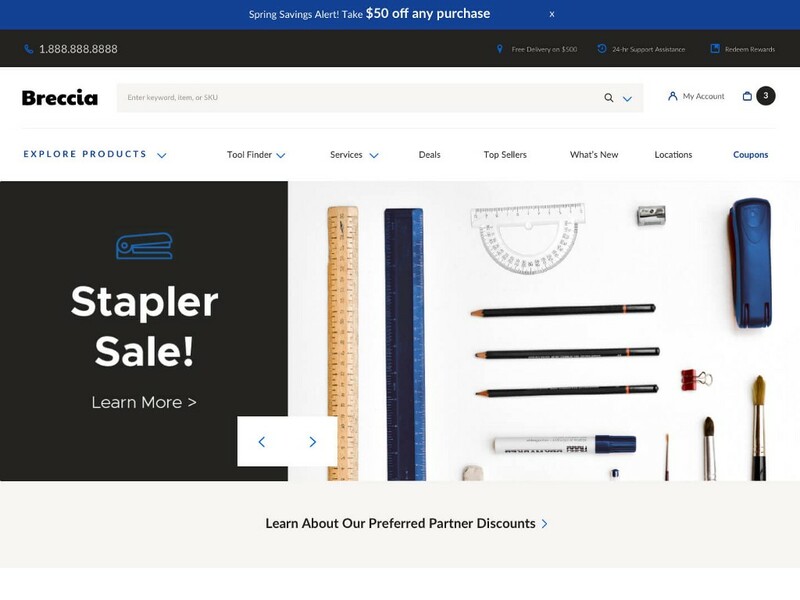 What’s included: fast e-commerce site building with configurable rules for tiered pricing, organizational hierarchy, contract pricing, order workflows and more. Where the solution excels is the connection with Liferay enterprise-grade CMS allowing the solution to easily share commerce content in microsites, product pages, etc. Liferay Commerce can be localized for your market, making it easy for business users to tailor sites for different regions and ensure each sees language and content relevant to them. Multicurrency and multilingual support keep the purchasing experience intuitive. There exist tools to manage exchange rates, shipping options and taxes for each country. Also, there are and will be more so-called “accelerators” allowing fast setup of the platform for the particular business area. And best part to the end. There is a community version with shared sources with the enterprise. This could be very interesting also too small to middle size companies. Liferay DXP Cloud is “Enterprise PaaS Tailored for DXP”. 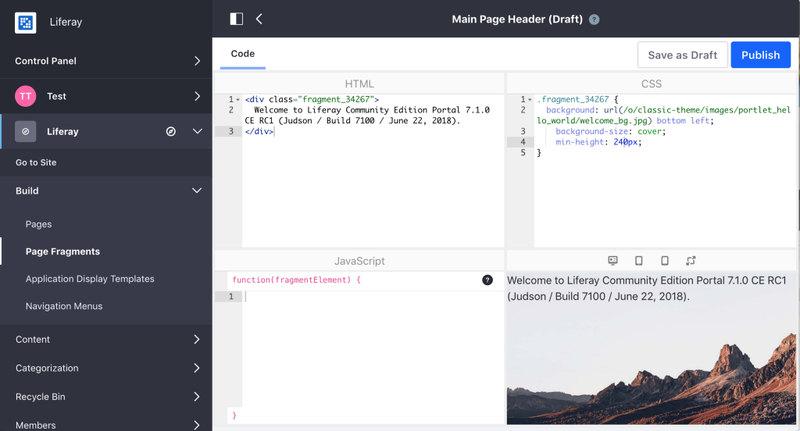 What does this practically means is that Liferay aims to provide you hosting with UI based management for all environments and (preconfigured) tooling that you need for Liferay projects delivery. As this is my field, I visited all the presentations and also participated in the DXP Cloud workshop so got hands-on experience with the new product. And I must say that the service itself, it’s design and philosophy is very appealing. 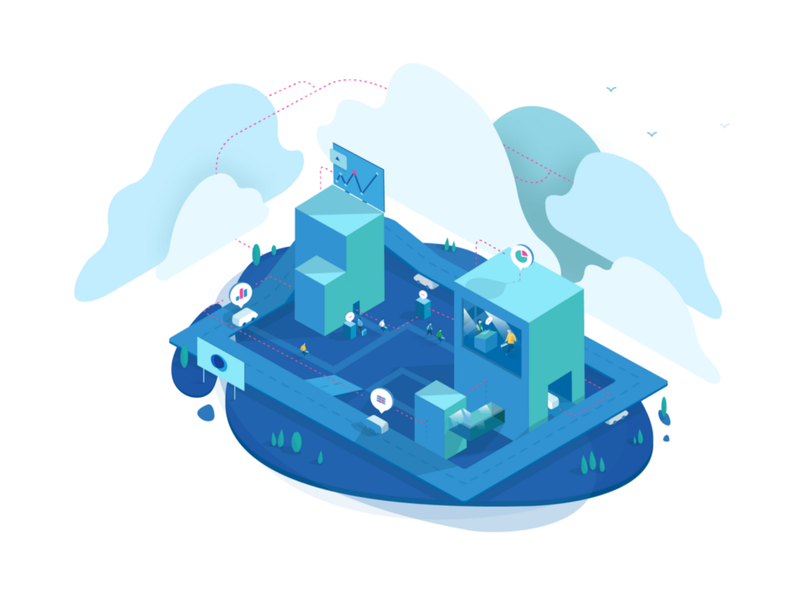 Simply said, the product offers out-of-the-box services that usually needs several months of implementation in the customer’s environment (typically because new infrastructure needs to be ordered and installed and processes to be planned and implemented in the operations department). If Liferay will bring the service to Europe, keep reasonable price level and finish few missing and promised features, this would enable Liferay DXP to be a perfect match for new project types for small/mid-size business with very short time-to-market value. From the business perspective, with DXP Cloud Liferay fills the gap of missing PAAS solution that was a drawback mentioned by Gartner in the latest portals report. This should help it to stay on the highest competitive level in the magic quadrant. Therefore, you should definitely book your ticket for next year! I hope we will meet you there :). News from Liferay DevCon 2018 was originally published in ableneo Technology on Medium, where people are continuing the conversation by highlighting and responding to this story.